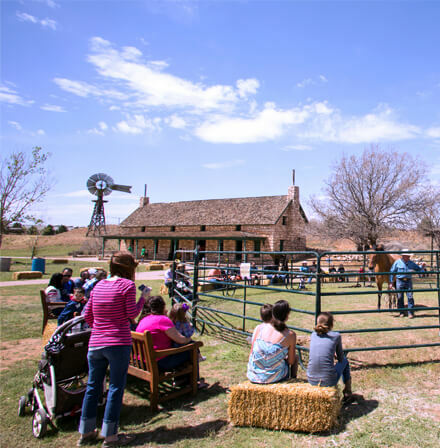 Experience affordable family fun in Lubbock, Texas. "I marveled at the beauty and never-ending opportunities in front of us." 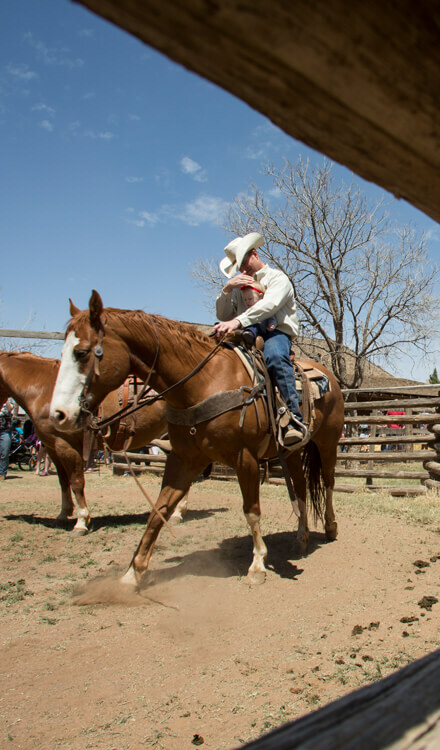 Step back in time at The National Ranching Heritage Center. Kids and adventure go hand in hand. My husband and I have been married for almost 20 years, and even with three kids and busy schedules, we make it a point to have fun as a family as often as possible. We are always up for an excursion to a new place. Being close to our own siblings and parents, we want our kids to have the chance to spend time together without the clutter, chaos and technology that often crowds their thoughts. Our last weekend adventure was to Lubbock, Texas, just a short drive from our own home in Abilene. Lubbock was chosen as my husband and I discussed the importance of teaching our kids to find joy and entertainment in nature, even when the benefits weren’t obviously pointed out to them. "We had a chance to try out the Archaeology in Action event, at Lubbock Lake National Historic Landmark." 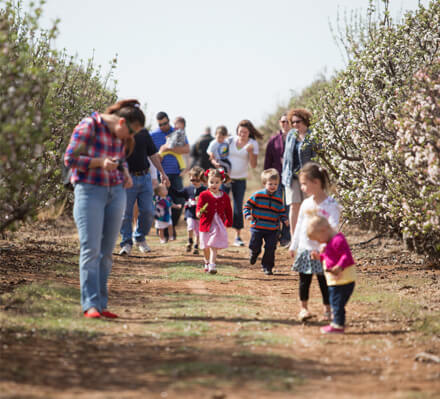 Tour apple country at Hi-Plains Orchards. 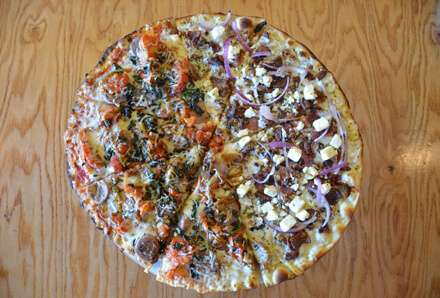 Chow down on a pizza pie at West Crust Artisan Pizza Pies. Located in an ancient valley, the landmark currently serves as a field laboratory for geology, soils and radiocarbon dating studies, not to mention being an active archaeological and natural history preserve. Huge, bronze replicas of animals that roamed the land here thousands of years ago made for the perfect picture opportunity. A 3-mile nature walk around the preserve was the perfect way to stretch our legs and check out Lubbock’s native vegetation. Birds and small animals added to the tranquility of our surroundings. We saw wildflowers in every color of the rainbow, birds of all sizes and plants unique to the region. We even had a chance to try out the landmark’s Archaeology in Action event, where guests have the chance to see “archaeology in action” by interacting with excavators and the lab crew. These sites are not usually open to the public, so it was a real treat being a part of the experience. Although we live in Texas, we had no idea that almost 30 different types of apples are grown right outside of Lubbock. We enjoyed the majestic outdoors of West Texas as we toured Apple Country at Hi-Plains Orchards’ apple orchards and picked our own apples. Even our oldest son, Jeremy, in the prime of his pre-teen years, held his little sister, Lindsey, up so she could reach the perfect apple. On the way back to the hotel, we stopped for dinner at West Crust Artisan Pizza Pies, which was recently named the No. 1 pizza place in Texas by the Food Network. “Mom, did you see the apple that was bigger than my head?” my youngest son, Andy, asked as he reached for a slice. “The archaeology sites were so cool!” exclaimed Lindsey, as she applied a filter to upload the picture she took to Instagram. "We were able to enjoy a family weekend full of activities that were basically free." Getting in touch with our Western side. 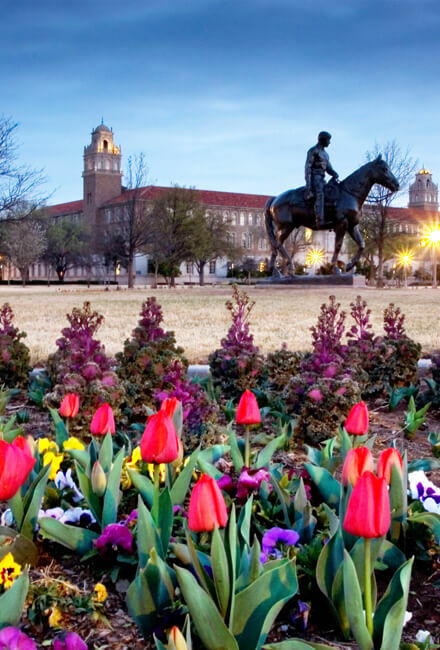 Take a tour of the historic Texas Tech University campus. We started with a walk on the nature trail, then I settled on the beach with a good book while the kids splashed with their dad. At some point in the day, the kids talked their dad into renting a Jet Ski and taking each of them on a ride around the lake. We played an impromptu volleyball game, and the kids got out their fishing poles to try their hand at catching a meal. While planning our trip to Lubbock, Jeremy made us promise to stop at the National Ranching Heritage Center. A true Texas boy, he loves anything Western, and was thrilled to take a step back in time to pioneering days when the ranching culture of West Texas was born. Authentic ranch buildings have been fully restored and furnished—some even date back to the 1700s. Jeremy shares his love of Western history with his father, and I could see them bonding as they leaned over a display of vintage and antique firearms. Jeremy’s eyes danced with excitement as he pointed at one of the cases, and his grin widened as his dad responded with equal enthusiasm. We ended our trip on Sunday with a visit to Texas Tech University, my husband’s alma mater. We showed the kids around the campus, and he told them all about his days as a student. I realized that this was a great chance to help our kids develop an interest in their future educational pursuits. After our tour, we stopped at the Moody Planetarium Sky & Laser Show in the Museum of Texas Tech University for a completely out of this world experience. The planetarium has a full-dome digital projection system that projects a seamless image over the 30-foot dome surface—offerings include the daily “Black Holes” and the Saturday show, “Seasonal Stargazing.” My 6-year-old son, Andy, was practically losing his mind over the stargazing exhibit, and I enjoyed the Search for the Edge of the Solar System. After the show, we browsed through the museum’s estimated 5 million objects and learned more about ancient arts, humanities and natural sciences. Plan your own Lubbock family adventure with the free Visitor's Guide!